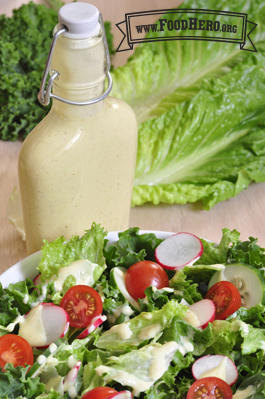 1 Comments for "Honey Mustard Dressing"
This Honey-Mustard Dressing recipe is terrific! Regular Honey-Mustard would never be my choice at a restaurant - it's always too sweet and too thick. I did decrease the amount of honey to about 1 teaspoon so the tangy mustard and yogurt stands out more. By sometimes decreasing the amount of milk, we've been using this as a veggie dip and as a substitute for mayo on sandwiches. Since discovering this recipe, I've made double batches so we have some left over to use for a couple days. I'd suggest writing the recipe "1 to 3 teaspoons honey" to let cooks know they have an option for a less sweet version.